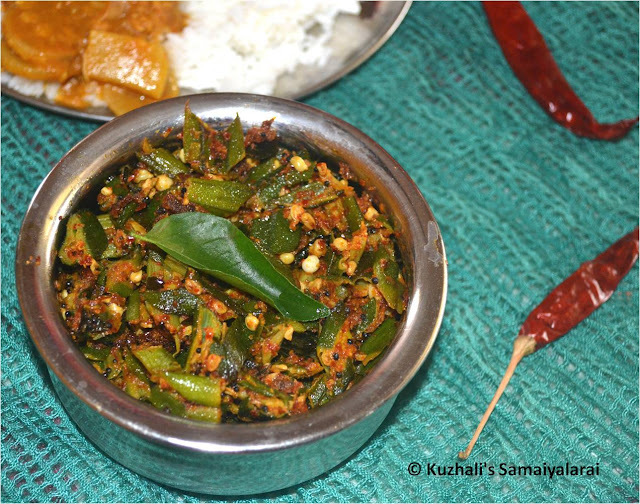 Bindi fry(vendaikkaai fry) is a very common dish, but this is a different flavoured spicy bindi fry with garlic and cumin flavor. It is so simple, but taste will be really amazing. Actually I got this recipe from my sister which she learnt from some youtube video. 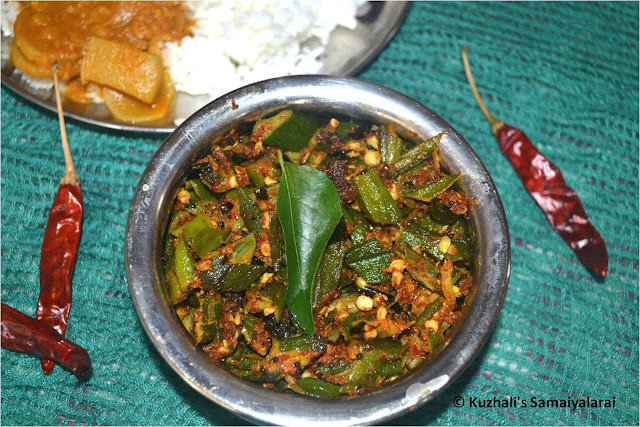 Generally we make okra/ladys finger fry by adding red chilli powder for spiciness. 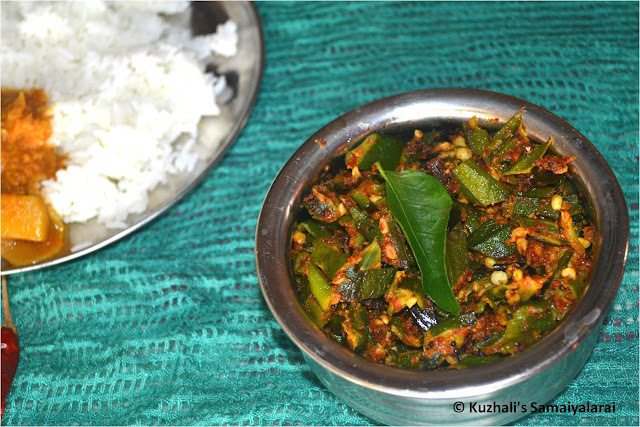 But this recipe calls red chillies for spiciness. Additionally cumin seeds and garlic gives extraordinary flavor to the fry. Half the ladys finger in length wise and then chop them into 1 inch pieces. Let the chopped ladys fingers to dry in a paper towel. First grind the red chillies and cumin seeds into fine powder then add the peeled garlic and ground into coarse powder without adding water. Now masala is ready. In a pan add oil and let it heat. Then add the mustard seeds and let it splutter. 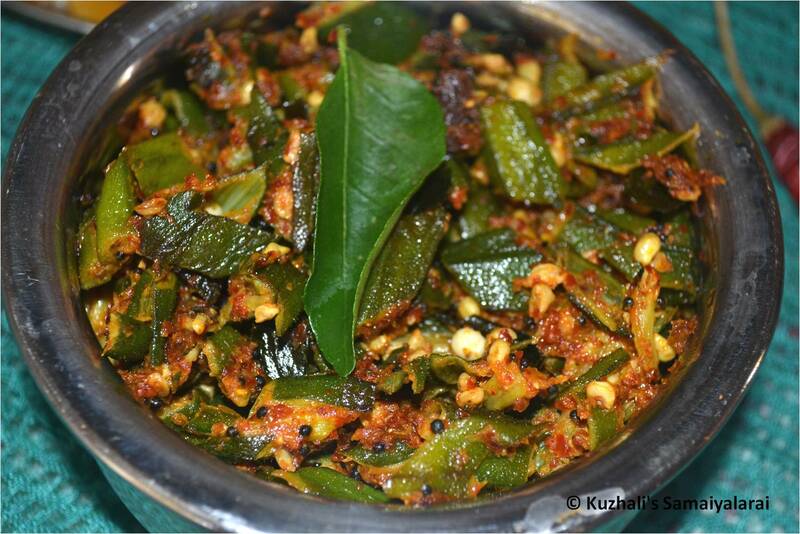 Then add the curry leaves and let it fry a little. 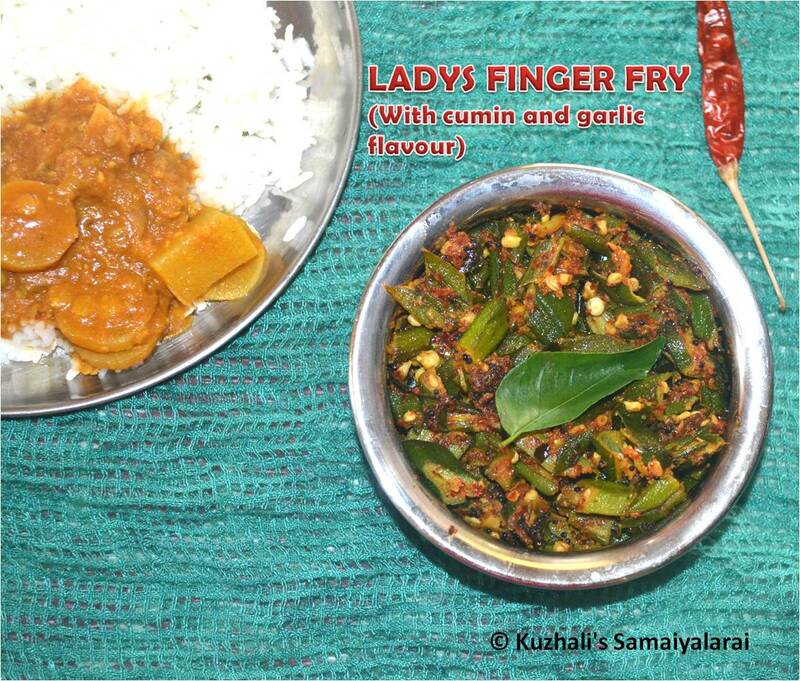 Then add the chopped ladys finger and saute well. Don’t add any water, just saute them in low medium flame till the ladys finger got cooked and the stickiness is almost gone. Then add salt and the ground paste and mix well. Add turmeric powder and saute for few more minutes till the raw smell and stickiness is goes off. 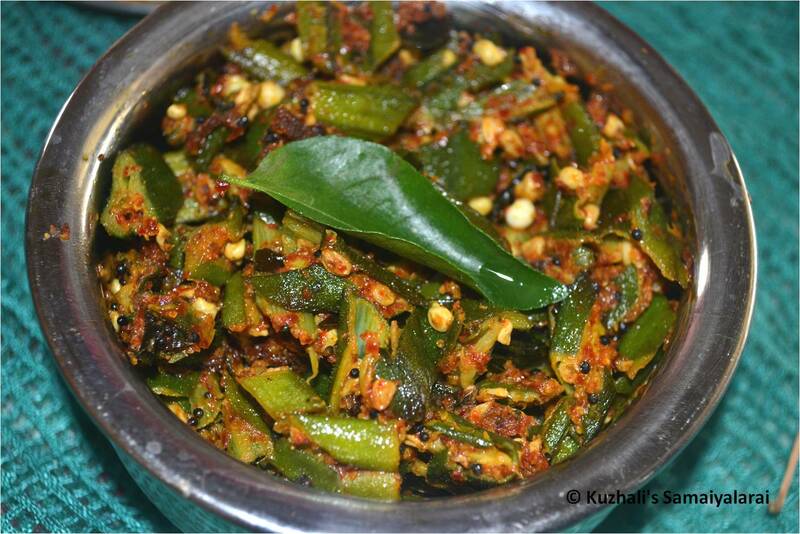 Remove from heat and serve with hot rice and any kuzhambu(curry) of your choice. Drying the ladys finger is important to remove the stickiness in less time. Adjust the spiciness by adding or removing the number of red chillies. Add salt after the ladys finger is almost cooked.